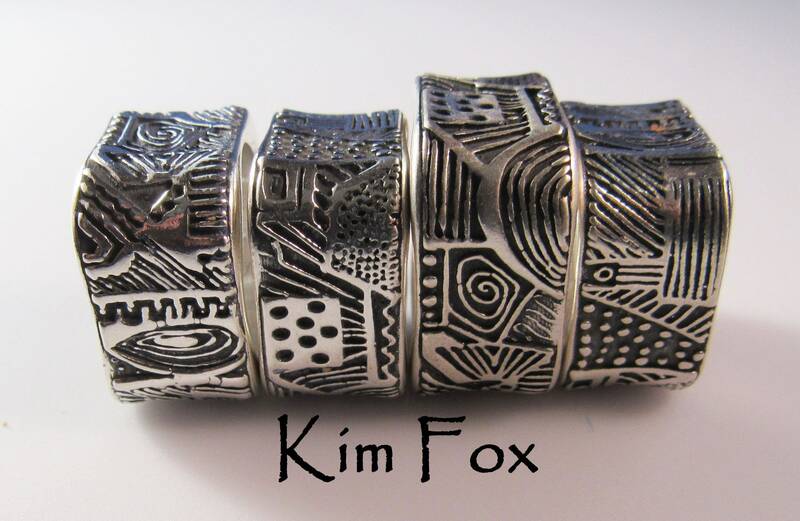 This ring design is made from a doodle I made on paper and imported into my design. The doodle is abstract and whimsical. Each side of the rounded rectangular ring is different. Patina makes the pattern easy to see. 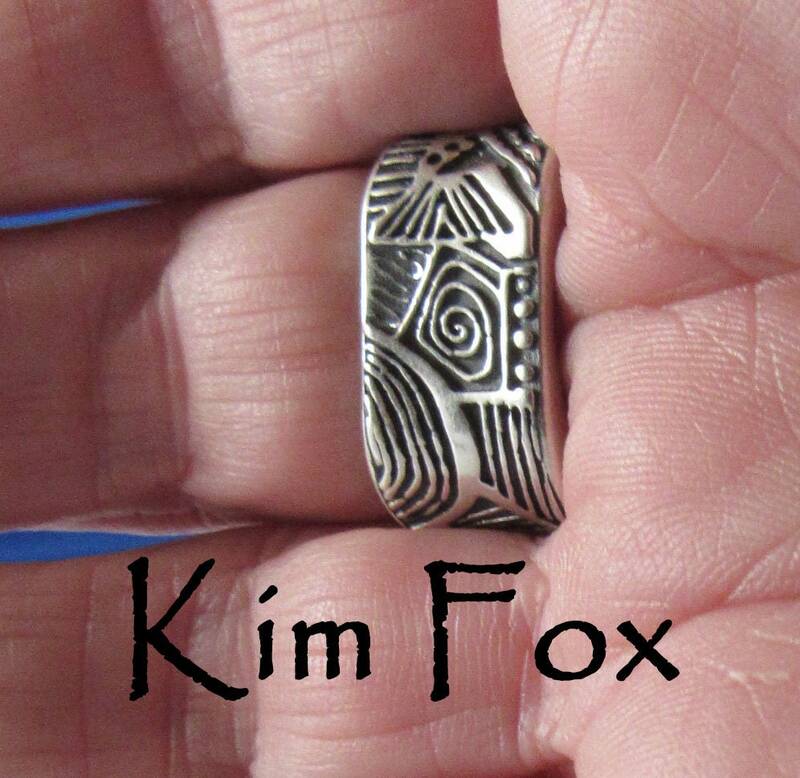 The ring is 3/8 of an inch or 10mm wide and is narrowest in thickness at the point where finger meets finger. 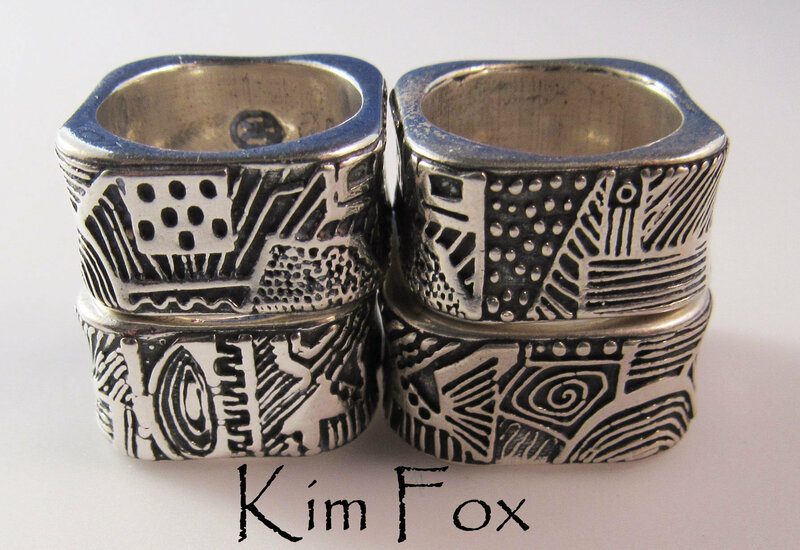 Rectangular rings are very comfortable to wear. They do not spin and they rest comfortably on the hand. 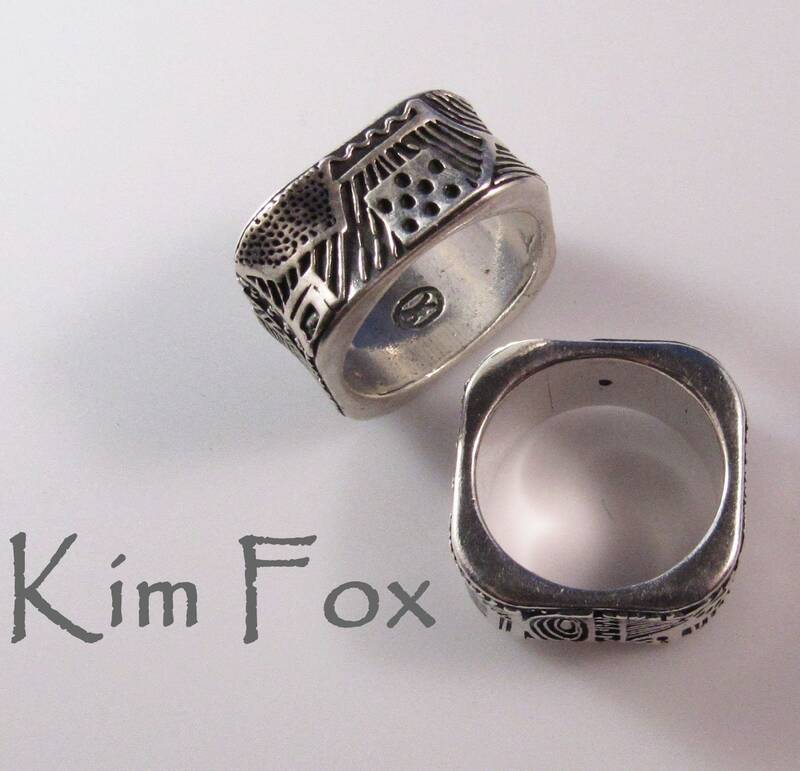 The inside of the ring where it touches the finger is silken smooth. 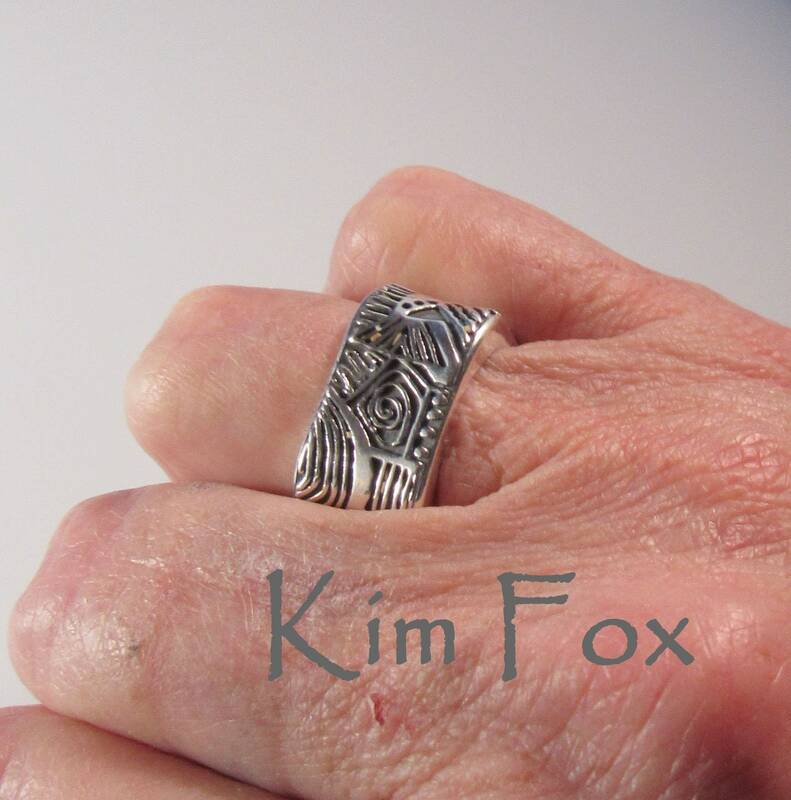 I have made the shape of the ring where it meets the finger concave so that it is very comfortable when your fingers are together. 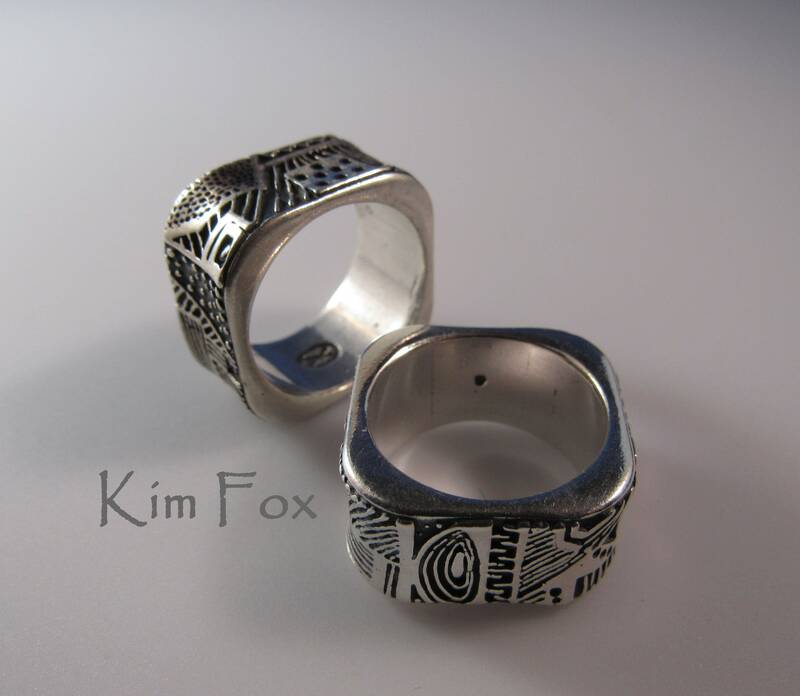 The Doodle ring can be worn by men or women - young or old. It is durable enough to be worn every day. 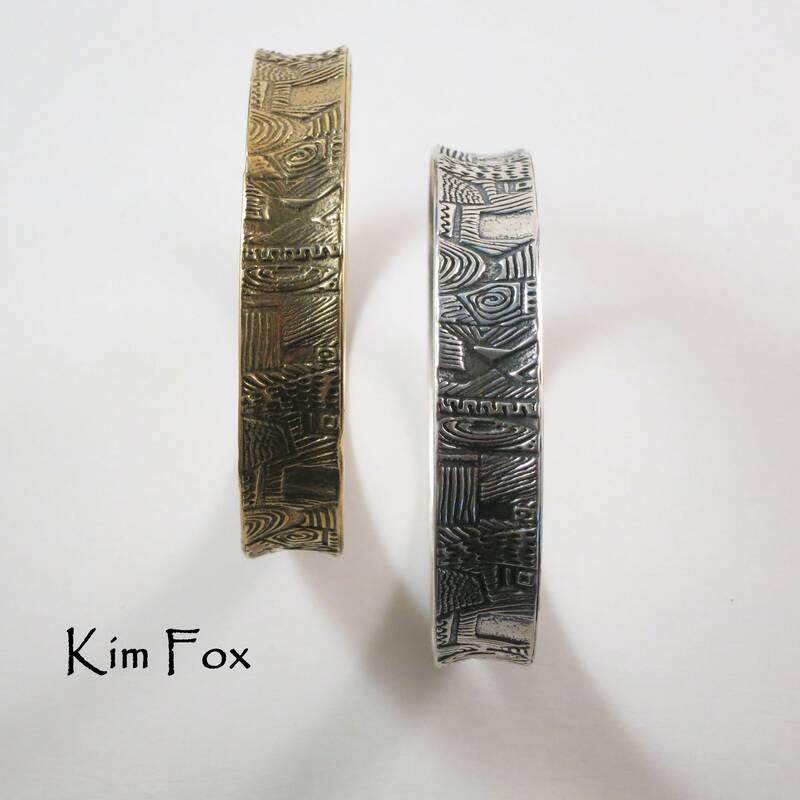 I have also designed a bangle and cuff with this unusual almost tribal design.